As you begin the difficult task of finding a new home for a family member, it is important to remember that truly, there is no place like home. 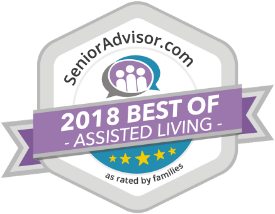 So, you have to determine, to the best of your ability, what assisted living community comes as close to home as possible. At Palos Verdes Villa, we know that we have created that special assisted living community anyone would call “home”. Here at Palos Verdes Villa, the needs and rights of our residents are our number one priority. All of our residents are treated with dignity and respect. Quality care and services are provided in an environment and setting that is safe, comfortable, and appealing. We seek to constantly improve the quality of our resident’s lives, health and well being and we are committed to helping each of our residents remain as independent and active as possible while at the same time providing the support and assistance necessary to help them remain healthy and safe. Palos Verdes Villa is located on a hilltop with beautiful ocean views in Rancho Palos Verdes just south of Los Angeles California. Our resort-style community offers tastefully furnished private or semi-private apartment suites with private amenity laden bathrooms. Each apartment suite comes furnished with new carpeting, a full or twin sized bed and night stand with lamp, a full sized dresser, a desk and chair, and an easy chair for reading or watching television. Our apartment suites have locking closets to protect your valuables. Please use our Contact Form to arrange a tour of our assisted senior living apartments or request more information. The time to plan for a transition to assisted living is before an accident or injury occurs. Don’t wait another day; contact us today at 310-547-9941.